Let’s talk plums for a moment. Aside from eating them while standing at sink, juices dribbling down your chin (not to mention your elbow), is there a more perfect use for plums? Perhaps. This gritty-in-a-good-way cake, which juxtaposes sweet plums with the coarse but not too coarse texture of polenta. That said, there tends to be some confusion about the term “polenta.” Thanks to the mislabeling of some cornmeal, the word has come to be known not just as coarsely ground cornmeal slowly cooked to a rich, creamy, savory porridge, but also as the very grain that’s the essential ingredient. It’s just plain old cornmeal, typically coarsely ground cornmeal, so don’t be surprised that you’ll find no “polenta” in the ingredient list. Kindly note, this recipe for polenta cake and summer plums has a slightly finer crumb than some, relying on finely ground cornmeal or semolina, a coarsely ground wheat common in northern Italy. We just thought you may want to know. Didn’t mean to get all pedantic about polenta. Or plums, for that matter. Mmmm. Plums. 1. Preheat the oven to 350ºF (176ºC). Butter and lightly flour an 8-by-2-inch round cake pan or an 8-inch springform pan, tapping out any excess flour. 2. In a small bowl, toss the cornmeal, all-purpose flour, baking powder, and salt. 3. In a large bowl, beat the butter and granulated sugar with an electric mixer until pale yellow and creamy, about 5 minutes. Scrape down the sides of the bowl with a rubber spatula and add the egg yolks, 1 at a time, beating after each addition. Scrape down the sides of the bowl and add the whole eggs, 1 at a time, beating after each addition. Mix in the lemon zest and vanilla. Add the dry ingredients and blend until just combined. 4. Spread the batter in the prepared pan. Place the plum halves, skin side down, at even intervals on top of the batter. Sprinkle the brown sugar on top of the fruit and batter. 5. Bake until the cake is golden brown on top and a toothpick inserted in the center comes out clean, 30 to 45 minutes. I’ve nothing but good things to say about this recipe. 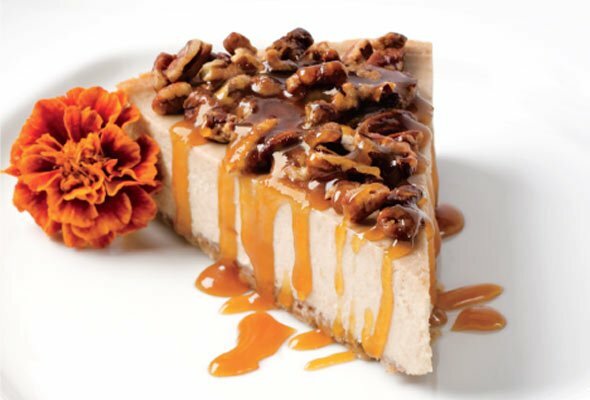 It comes together quickly and has a delicious flavor and wonderful texture. It’s not too sweet and somewhere in between moist and dry. The fruit here partially sinks into the cake and when the cake bakes and rises some of the fruit seems to completely disappear. So when you cut into it you get a lovely surprise of jammy beautiful fruit in the center of most slices. The plums I used were a bit on the sour side; sweeter ones would’ve made for an even better cake. 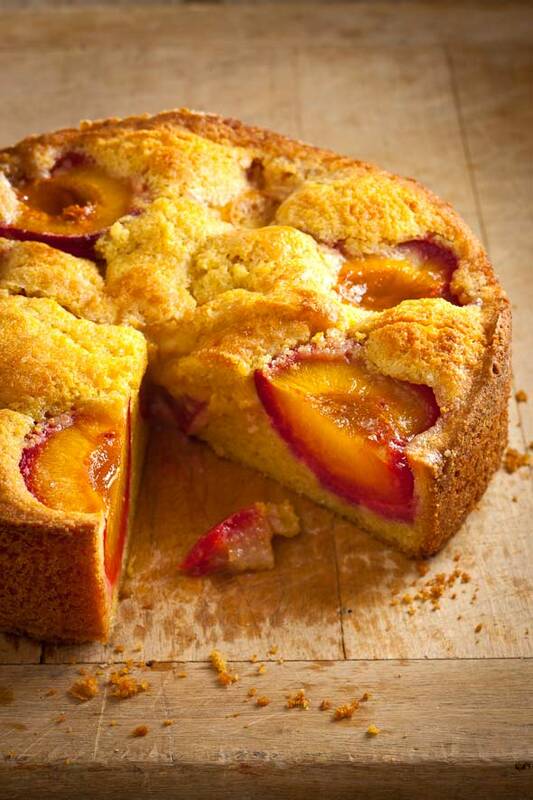 I’m certainly going to be making this again using peaches or even cherries. The cake is perfect with an afternoon cup of coffee or even for breakfast. Note that I used fine cornmeal; I do think it’s odd that the recipe has polenta in the title, yet it states that semolina is an acceptable substitute. It’s cherry time here and I can always find people who’ll do some pitting for me. I halved the cherries and put them in a pretty pattern on top. The look is great. The problem is that there just weren’t enough cherries. My daughter would’ve liked cherries throughout. I think this would’ve been better if plums were used because they’d take up more space on top and be a bit heftier overall. This recipe came together very quickly compared to another polenta cake recipe that I have. I think the cake tastes good and is easy to make. Probably it wouldn’t hurt from more fruit. I might also increase the amount of vanilla if I were to make this one again. 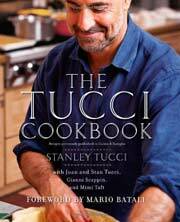 Polenta Plum Cake Recipe © 2012 Stanley Tucci. Photo © 2012 Francesco Tonelli. All rights reserved. All recipes and photos used with permission of the publisher.